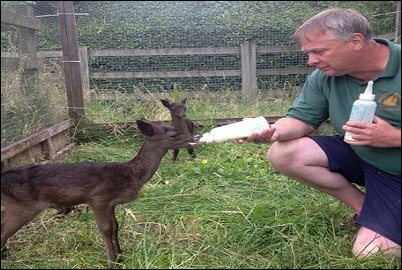 Woodside Wildlife Park Lincolnshire - About Us. It all started in the late 1960's when at the age of 8, Neil Mumby (complete with short trousers and a snotty nose) was given a copy of the observer's book of birds and the observer's book of birds eggs. This inspired a lifelong interest in amateur bird watching, falconry, botany, entomology and pretty much anything to do with natural history. Following a very enjoyable career in the poultry industry, a redundancy was the swift kick needed to change direction and turn a lifelong interest into a business. 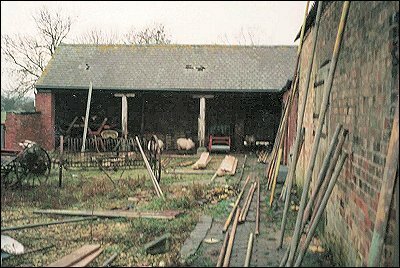 Wood Farm was purchased in 1999 as a completely derelict farmhouse with some falling down buildings and a grass paddock. It took two long, hard and very enjoyable years to renovate the house so it was suitable to live in, and convert the buildings to a standard where we could open the doors to the public. 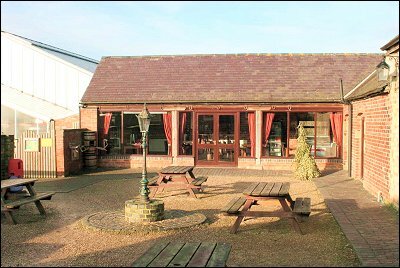 On 12th April 2001 Woodside Falconry and Conservation Centre was born, right in the middle of foot and mouth epidemic closing down the countryside of Britain. We very soon realised that although birds of prey were a passion of ours and a fascination to many, its appeal was limited. So in 2005 we ventured into tropical butterflies and reptiles, which proved to be a great success. Following on from this initial boost, we agreed to continue this diversification program and create a Wildlife Park from the bird of prey centre. We found help in BIAZA (British and Irish Association of Zoos and Aquaria). In 2009 we changed the name to reflect the new direction and Woodside Wildlife and Falconry Park was born. Our current thinking is that expansion will involve more primates and mammals. We consider ourselves extremely lucky to live in and enjoy such beautiful surroundings whilst helping our children grow up in a place they will only appreciate once they have left!